Which of these 10 Irish and 22 international entrants are ‘lovely and fair’ enough to become the 53rd Rose of Tralee? LIKE IT OR loathe it, it’s that time of year again – time for televisions across the country to be tuned into events at a (sometimes quite literally) rocking Festival Dome in Tralee, Co Kerry. For some it’s something to be derided – an emblem of an Ireland that has long since passed – but for many the Rose of Tralee is the very archetype of classic Ireland: a beauty pageant that actually isn’t a beauty pageant at all. 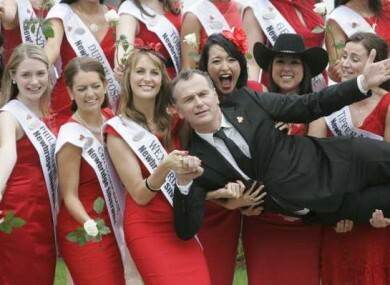 This year there are 32 entrants – 10 representing Irish areas, 22 coming from overseas – all vying to follow in a long line and become the 53rd International Rose of Tralee. Photographs courtesy of the Rose of Tralee festival. Email “Introducing: the 32 contestants in this year’s Rose of Tralee”. Feedback on “Introducing: the 32 contestants in this year’s Rose of Tralee”.